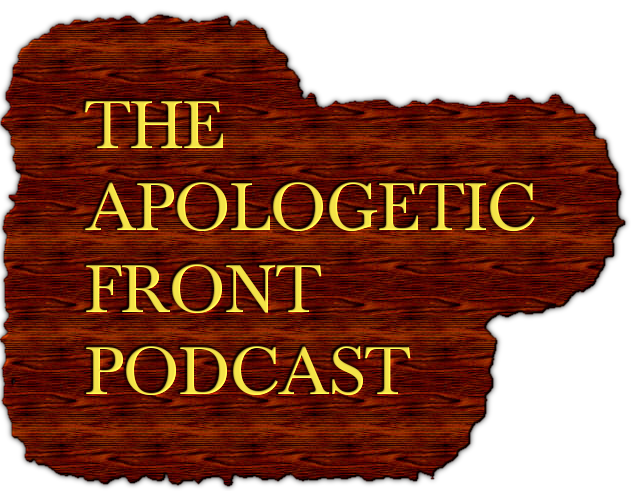 Podcast ep3: Answering emails and comments from some JW’s. Thanks for the informative podcast. As further evidence that Christ’s soul (the ransom for many – Mark 10:45) is now alive, Christ himself said: “Therefore my Father loves me, because I lay down my soul that I may take it again. No one takes it from me, but I lay it down of myself. I have power to lay it down, and I have power to take it again. This command I have received from my Father (John 10:17-18).” The Greek text should be carefully studied by all JW’s. So, the JW’s argument that Christ temporarily assumed a physical body after his resurrection which was not the same body which had been crucified, is unsupported by the Biblical evidence. Moreover, the crucifixion scars shown to his disciples were not forgeries but the real deal. Christ is the Truth! A major factor behind the inability of the JWs to connect with the Biblical data is their dependency on logic and reason.You will notice that these are repeatedly emphasised in their literature and in their responses. The root of this dependency can, I suggest, be traced back to Arius, the 3rd Century denier of Christ’s full divinity. Arius was gifted in the logic of pagan Greek philosophy and argued that Christ, as a Son, did not always exist. He was excommunicated around 319 AD by nearly 100 bishops. This did not silence him, however, and about six years later the Council of Nicaea confirmed his error in 325 AD. Interestingly, Arius is applauded in the 1918 version of the posthumous work of Charles Taze Russell, ‘The Finished Mystery’. Arius and Russell are here classified as two of the seven messengers, or angels, to the Church mentioned in Revelation 2. Understandably, modern day Witnesses, who have not read this book, now rarely mention Arius. Even though the book can be easily bought from sources outside the Society, most Witnesses will be unaware of Arius’ high profile and the extent of his estimation. They are therefore unaware of the roots of the Society’s dependency on the logic and reason of pagan Greek philosophy inherited from him. If we are to understand God’s Word correctly, the best way forward would be to take heed of Paul’s advice in 1 Corinthians 1:18-3:18. Apologies, Arius was not the 3rd but the 4th Century denier of Christ’s full divinity. The image and nature of the resurrected bodies is articulated in expressly stated form in 1 Corinthians 15:45-48. So also it is written, “The first MAN, Adam, BECAME A LIVING SOUL.” The last Adam became a life-giving spirit. 46However, the spiritual is not first, but the natural; then the spiritual. 47The first man is from the earth, earthy; the second man is from heaven. 48As is the earthy, so also are those who are earthy; and as is the heavenly, so also are those who are heavenly. 49Just as we have borne the image of the earthy, we will also bear the image of the heavenly. God raised the same person that died. The expression “flesh rests in hope” is indeed a metaphor for the resurrection. After all, even when viewed from your perspective, the bodily resurrection of most believers occurs after the actual flesh has become dust. Unlike everybody else, God did not allow Jesus’ body to see corruption in the grave, but it goes towards the same point. It’s the same person, just not in the same body, and consequently, not the same “flesh”. Keep in mind that actual physical scars are, quite literally physical corruptions. Since Jesus was raised in an incorruptible form, the scars were produced only to prove who he was, that is, he was the “real deal:” Even from your perspective it is in my view inappropriate to use this as scriptural evidence that Jesus was raised in physical form. Thanks, Fred, for your comments. “It is, then, this very body, which is corruptible and liable to dissolution, that will rise again incorruptible. For He, who made it in the beginning of the sand of the earth, does not lack the power to raise it up again after it has been dissolved again and returned to the earth from which it was taken, in accordance with the reversal of the Creator’s judgement…Further Isaiah says: “The dead shall rise again, and they that are in the graves shall awake” [Isa.26:18-19]…The words [of Daniel 12:1-3], “many of them that sleep in the dust of the earth shall awake”, clearly show that there will be a resurrection of bodies. For no one would say that souls sleep in the dust of the earth. Moreover, even the Lord in the holy Gospels clearly allows that there is a resurrection of the bodies. “For they that are in the graves”, He says, “shall hear His voice and shall come forth: they that have done good unto the resurrection of life, and they that have done evil unto the resurrection of damnation [Jn.5:28,29].” Moreover, that the resurrection of the Lord was the union of uncorrupted body and soul (for it was these that had been divided) is manifest: for He said, “Destroy this temple, and in three days I will raise it up [Jn.2:19].” And again the divine apostle says, “For this corruptible must put on incorruption, and this mortal must put on immortality.” And again: “It is sown in corruption, it is raised in incorruption: it is sown in weakness, it is raised in power: it is sown in dishonour, it is raised in glory: it is sown a natural body (that is to say, crass and mortal), it is raised a spiritual body,”[1Cor.15:35-44] such as was our Lord’s body after the resurrection which passed through closed doors…[etc. ]” [Underscore added. Notice that the corruptible, mortal, body is not annihilated but clothed with incorruption and immortality – The Greek makes this very clear. Christ came to save the whole man: spirit, soul and body 1 Thess.5:23]. Again, space restricts further comment for now, other than to thank you again for your reply and commend the Holy Scriptures and also the works of the Ante-Nicene and Post-Nicene Church Fathers. Their expositions are really worth considering. I would be hard pressed to disagree with you that I hold to an unorthodox minority position, and that we all are to commend ourselves to the Bible and historical commentary works for reference. I would only add that when we evaluate the validity of concepts from a Christian perspective, we add more weight to biblical statements (and in this case, certain physical realities) especially when expressed in explicit form. That is, sometimes there is a difference, to lesser and greater extents, with what the Bible says and what the church fathers taught. Thanks, Fred, for your kind remarks. Best wishes to you and yours too. The exposition offered by St. John of Damascus seems to me pretty soundly based on what the Scriptures actually say. In view of your implied but unsubstantiated denial, wisdom indicates, I suggest, that we should listen to the Church on this one. The Church Fathers believed in the resurrection of the fleshy body. I think it will not be a mere fleshy body, but a glorified one, with heavenly properties. Indeed, after the resurrection, Jesus said to his disciples that he was not an spirit (pneuma) without bones and flesh. So, it clearly states that Jesus raised his own fleshy body. ….Tertullian (like Irenaeus and Justin) believed in an earthly Thousand years in which the holy ones will reign on Jerusalém. Then, after the Thousand years, the Earth will be destroyed and all of the holy ones will go to heaven in an angelic substance.